The Fernbachs were a large and influential family in the Batschka and in Apatin whose origins can be traced to Marlen and Goldscheuer in Baden-Wurttemberg. The patriarch of the Batschka Fernbachs was Johann Georg Fernbach born about 1733 in Marlen. He and his wife, Magdalena Endt, had ten children seven of whom were born in Apatin. They were the great-great-grandparents of Balint (Valentin) Janos Fernbach born in 1871. Valentin Fernbach was called the “Deichgraf” or “dike count” because he drained swampland between Apatin and Sonta. He created 10,000 Joch (one Joch is a little less than half a Hectare) of farmland by building dikes and pumps so that in case of flood the water could be drained out of the farmland. In this way he created his large fortune. 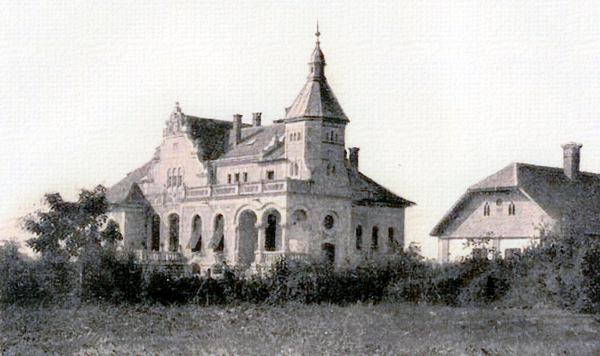 The Fernbachs owned a number of large schlosses or palaces just some of which were in Temerin, Baba Puszta (owned by Karl Fernbach) near Sombor in Aleksa Santic, and Sonta. The Sonta schloss was planned by the famous Apatin architect Franz Reichl for Valentin Fernbach. Fernbach was an avid hunter who travelled to Africa several times with two wealthy bachelor friends, Baron Emil Talian from Kanjiza and Graf Oskar Vojnic from Sabatka. 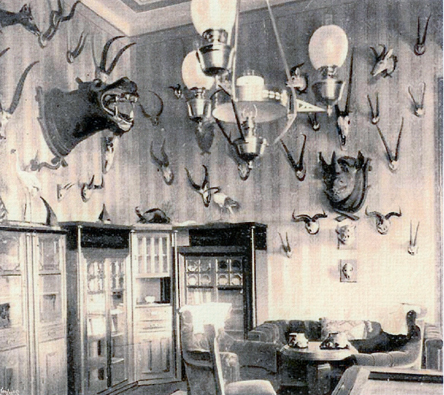 Fernbach not only returned with many hunting trophies, but living animals as well. He created one of the first zoological gardens at his Sonta schloss. He brought back ethnological material and had a huge collection and great photos. His diary of his African trips has been published. Valentin fathered two children with his servant Maria Johann, but this relationship was never accepted by the family. In 1926 the dikes broke, the wild animals died, the palace was severely damaged, but his collections were partly saved and today are in the museum of Sabatka. After World War I ten thousand Joch of his farmland were expropriated and Valentin shot himself to death in 1926. After his death, the family sold his palace to the rich squire Dungyerski who tore it down and built a mill in Apatin with its material. That mill is still working today. 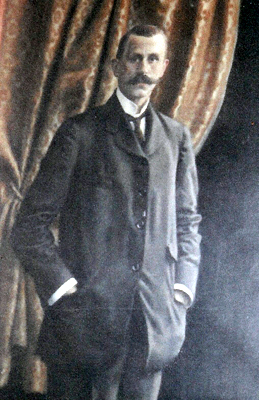 Valentin’s portrait now hangs in the Sombor administration of the Donau-Theis channel. The exact location of the palace can no longer be determined. Valentin is buried in the Fernbach chapel in Apatin, where the first Fernbach settlers and all their descendants are buried. His servant, Maria Johann, was killed by a gypsy and her grave is beside the Fernbach chapel. Their children were raised by Valentin’s sister in Sombor. She was accidentally shot and killed while standing by a window during the Hungarian invasion in 1941. The old town of Apatin was divided in two parts by branches of the Danube River. The old Fernbach house was situated on the banks of a branch of the river so that boats almost landed there. It is behind this house that the swamp once existed. A market will be built on this old swampland. 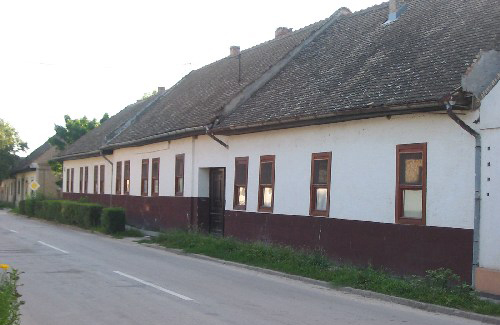 When Anton Fernbach left Apatin in 1903 he gave this house to the community as a home for the poor and it is still a home for the poor and mentally disturbed. During the war of 1996 refugees of Croatia were housed here.